New QW-MultiGPU Simulator dedicated for multiple GPU cards. 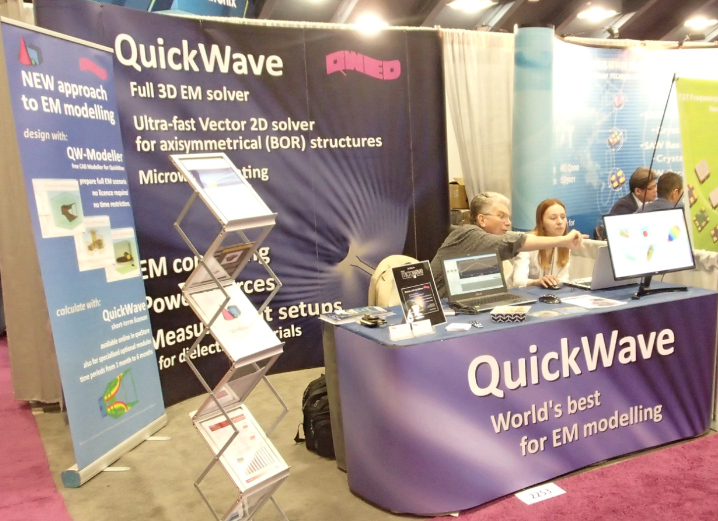 New QuickWave STUDENT Release - addressed to all who want to become familiar with and understand the electromagnetic phenomena. 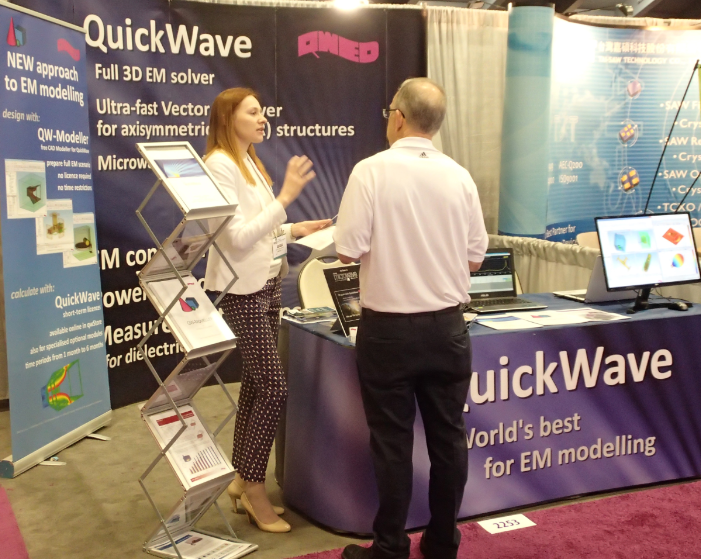 New approach to EM modelling with short-term licences. 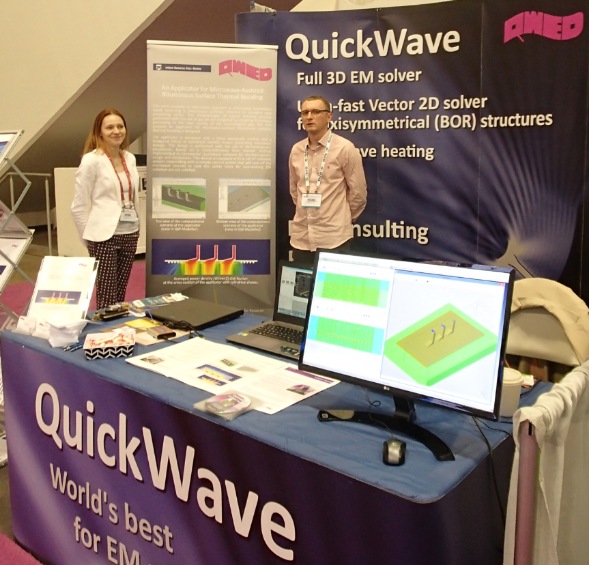 QW-Modeller: free CAD modeller for QuickWave. 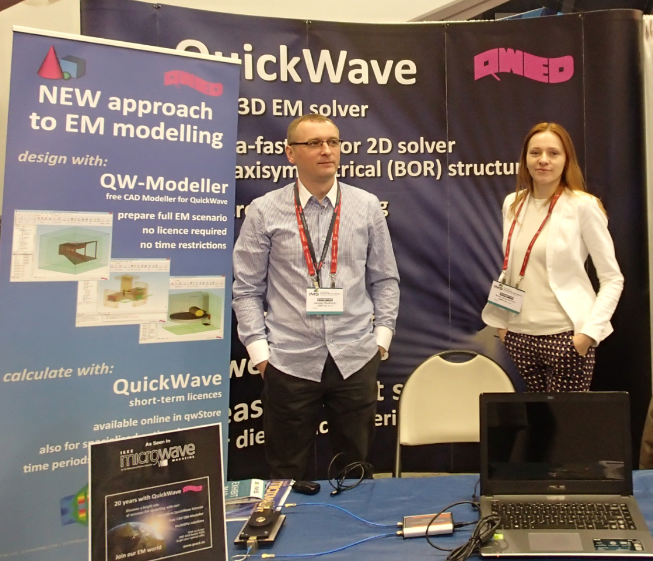 Janusz Rudnicki (Vice President of QWED) and Dr. Marzena Olszewska-Placha (Support Manager) present QWED's products at the QWED's exhibition booth in the IEEE MTT-S International Microwave Symposium in San Francisco, USA.